rock and bows: Awards a-plenty! Hace poco menos de una semana os contaba que Rock and Bows había recibido el BEE Award gracias a la genial Nery del blog Nery Poppins. Bien, pues hoy os cuento que esa misma Nery ha otorgado a Rock and Bows el premio One lovely blog, qué no hace falta explicar porque el nombre lo dice todo. A esto se suma que Carrieane del blog I'm just a little pixie; y Jo del blog A down to earth girl me han vuelto a nominar al premio Versatile blogger que ya recibí hace unas semanas. No puedo volver a nominar porque ya lo hice hace poco, pero si puedo recomendaros que visiteis sus blogs, porque son geniales, originales y llenos de nuevas propuestas! Gracias a las tres, es que os comía! Less than a week ago I told you guys that Rock and bows had won the BEE Award thanks to the amazing Nery, from the blog Nery Poppins. 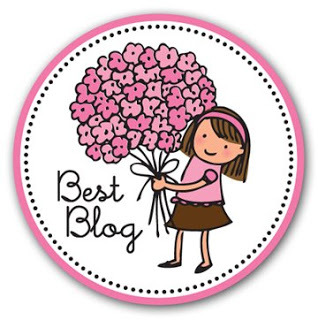 Well, today I tell you that the same amazing Nery has given to Rock and Bows the One lovely blog Award, which doesn't need explanation 'cause its name speaks by itself. On top ot this, Carrieane from the blog I'm just a little pixie, and Jo from the blog A down to earth girl have nominated Rock and bows again from the Versatile blogger Award, which I already got a few weeks ago. I can't nominate again because I already did it not long ago, but I do can recomend you guys to visit their blogs, 'cause they are amazing, original and full with new ideas! Thanks to all of you girls, I could just eat you! Well you definitely deserve all these awards as your blog is amazing. I can tell you that the quality is very good and price start at 1dollars!! !